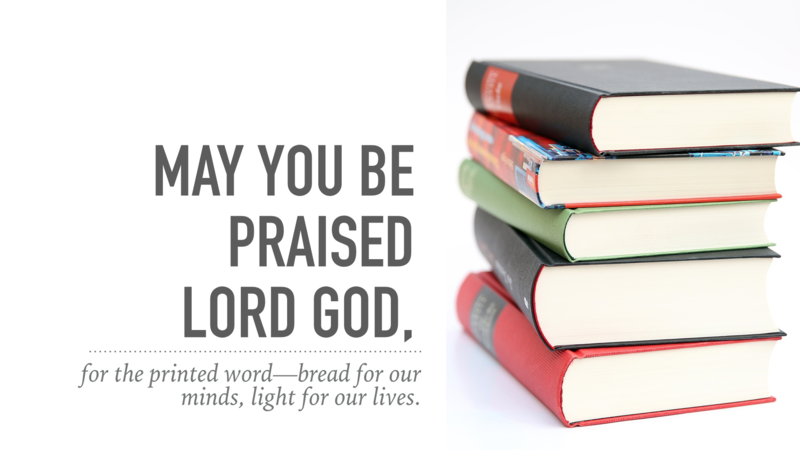 May you be praised, Lord God, for the printed word--bread for our minds, light for our lives. 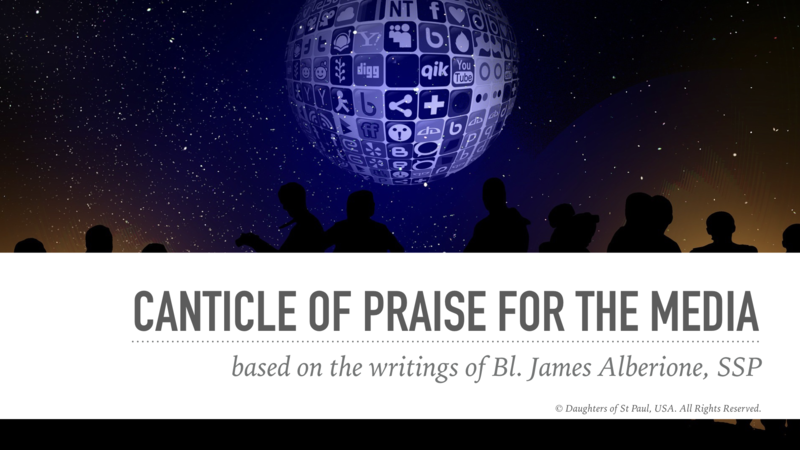 We give thanks for the talents and dedication of all who serve the truth in love, and for all whose technical and professional skills make possible the production of books, newspapers, magazines, and reviews. 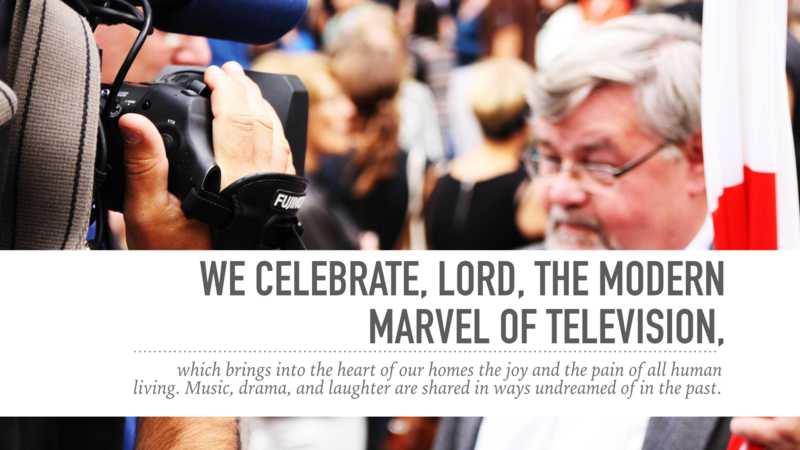 We celebrate, Lord, the modern marvel of television, which brings into the heart of our homes the joys and pain of all human living. Music, drama and laughter are shared in ways undreamed of in the past. 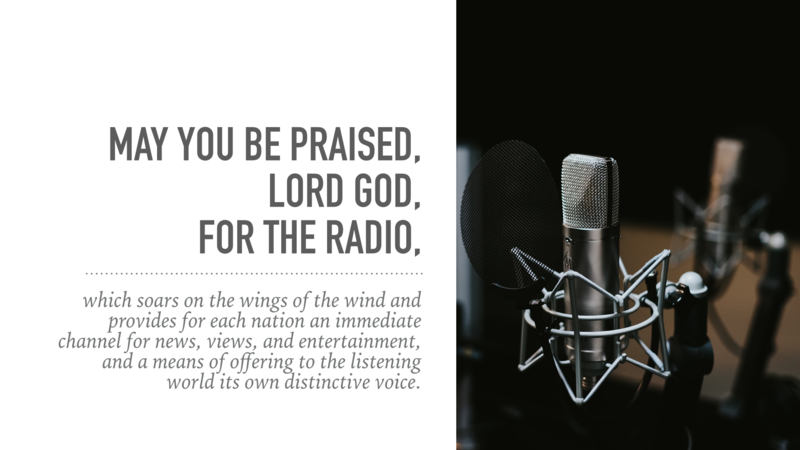 May you be praised, Lord God, for radio, which soars on the wings of the wind and provides for each nation an immediate channel for news, views, and entertainment and a means of offering to the listening world its own distinctive voice. 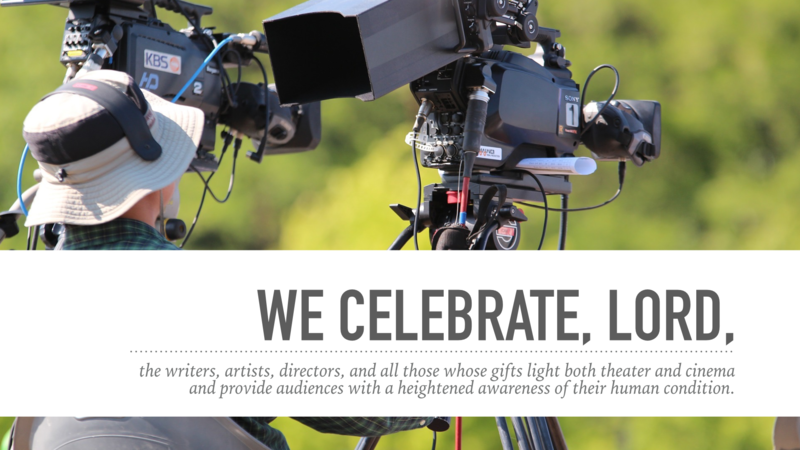 We celebrate, Lord, the writers, artists, directors, and all those whose gifts light up both theater and cinema and provide audiences with a heightened awareness of their human condition. 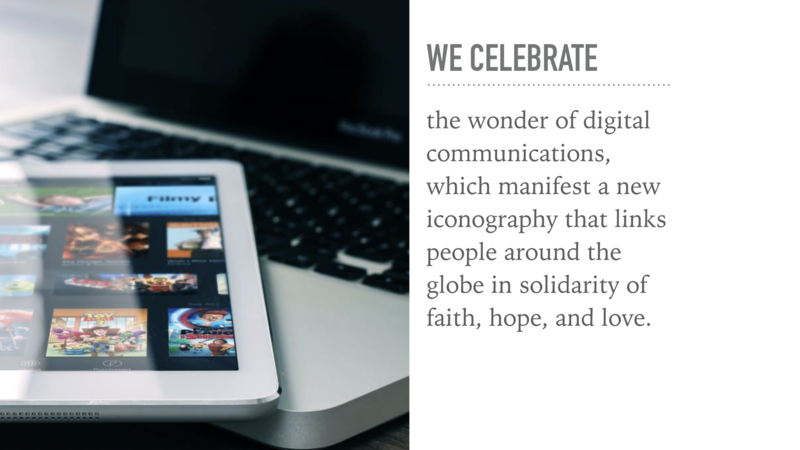 We celebrate the wonder of digital communications which manifest a new iconography that links people around the globe in solidarity of faith, hope, and love. 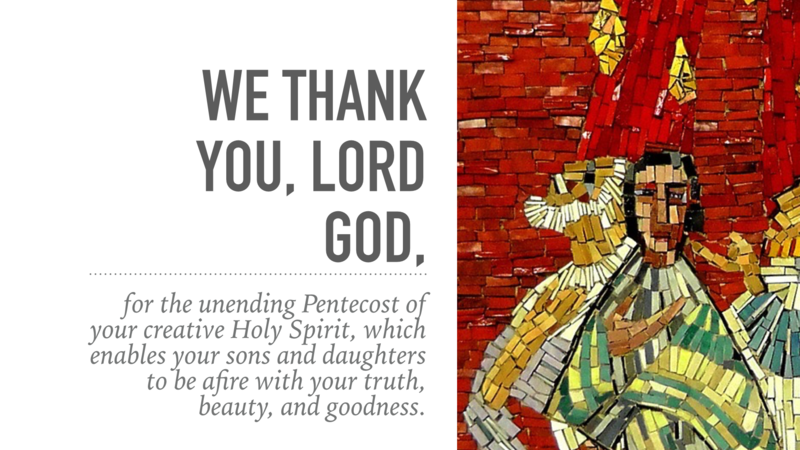 We thank you, Lord God, for the unending Pentecost of your creative Holy Spirit which enables your sons and daughters to be afire with your truth, beauty, and goodness. 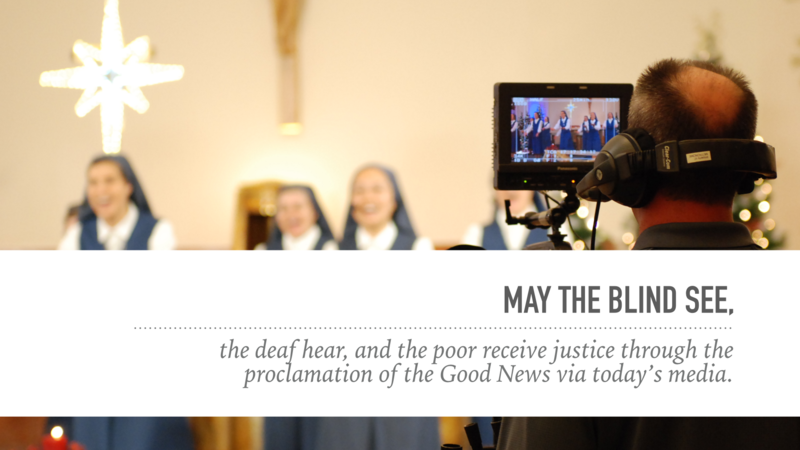 May the blind see, the deaf hear, and the poor receive justice through the proclamation of the Good News via today's media. 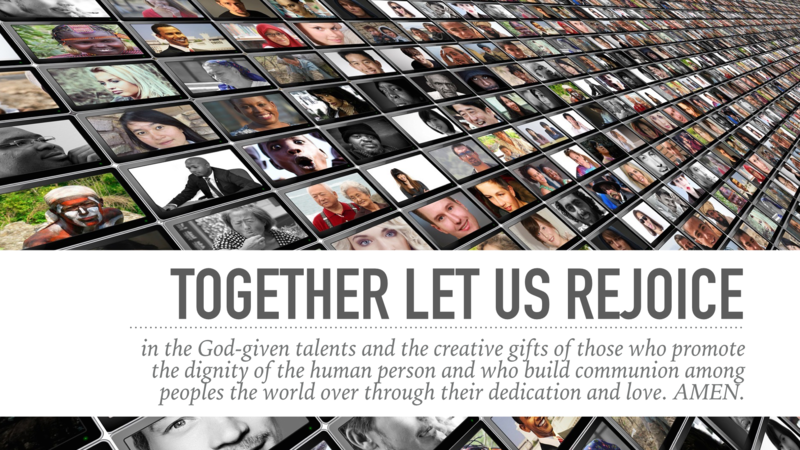 Together let us rejoice in the God-given talents and the creative gifts of those who promote the dignity of the human person and who build communion among peoples the world over through their dedication and love. Amen. © Daughters of St Paul, USA, Pauline Center for Media Studies. All Rights Reserved.